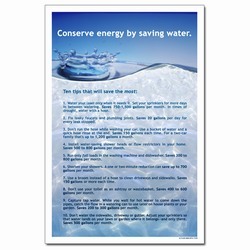 Theme: A similar design to our WP207, this poster shows the earth as a water droplet dropping into a large pool of water. 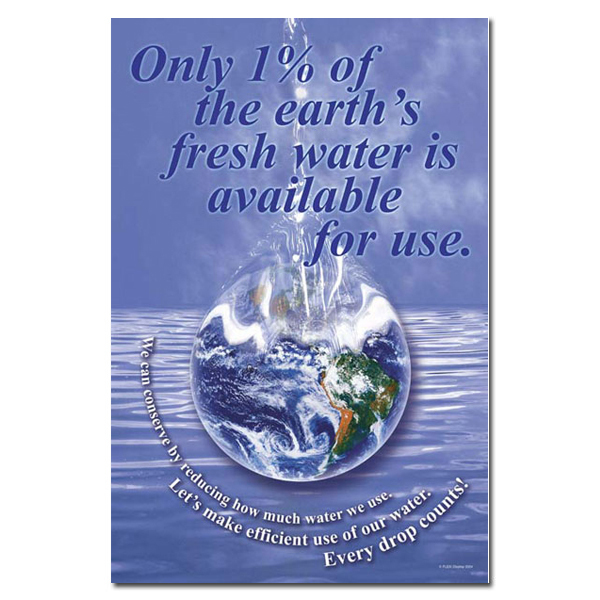 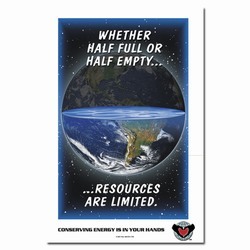 Message: "Only 1% of the earth's fresh water is available for use. 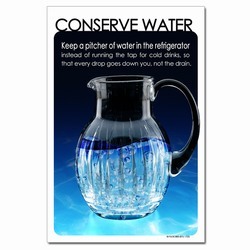 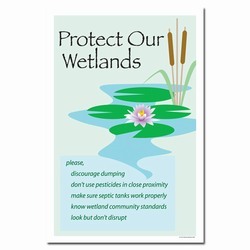 We can conserve by reducing how much water we use. 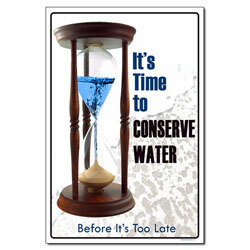 Let's make efficient use of our water. 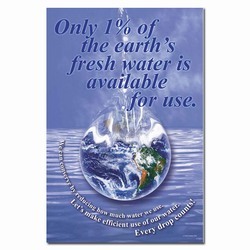 Every drop counts!"